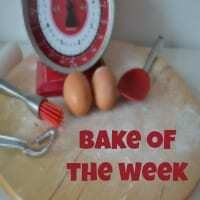 After the long summer break, this week I finally have a bit of time to start baking again! So I decided to bake coffee cupcakes and make use of some mascarpone that had been sitting in my fridge for weeks! This recipe is almost like a Victoria sponge cake recipe. This Coffee & Mascarpone Cupcakes recipe makes 12 cupcakes. Beat the butter and caster sugar until pale and fluffy. Add one egg at a time and a spoonful of the flour each time. Mix in the remaining flour and coffee. Divide into 12 portions and bake for 15 – 20 min at 160°C. Leave to cool. Mix the mascarpone, icing sugar and rose syrup well. Chill for at least 30 min – 1 hour before piping. 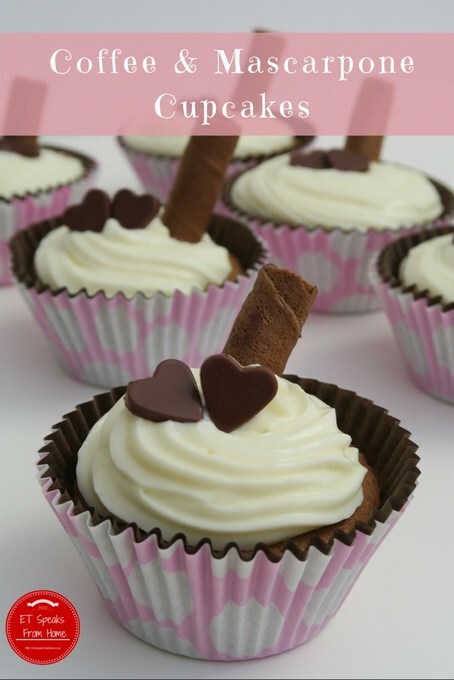 Decorate the cupcake with the chocolate wafers and chocolate hearts. This is my first time baking coffee cupcakes and they all went down well. I used four teaspoons of instant coffee and mixed with 30 ml of hot water to dissolve it. If you prefer a stronger coffee flavour, just add more instant coffee. I think this ratios above work well though and all my friends love the combination of rose flavoured mascarpone. I think next week I will try to make tea cupcakes!